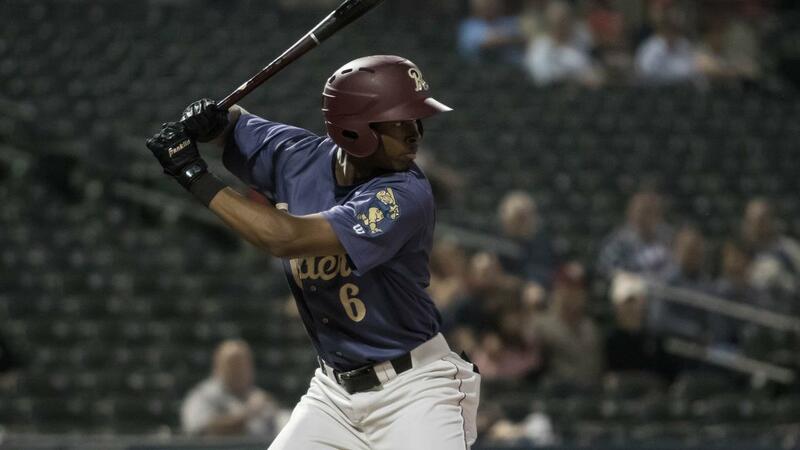 FRISCO, Texas (April 10, 2019) - The Frisco RoughRiders scored six runs in the eighth inning Wednesday to knock off Corpus Christi 10-5 and complete a sweep of the Hooks. * Brendon Davis broke a 4-4 tie with a two-run double to left-center, collecting his first hit of the season in a big way. * Eliezer Alvarez followed with a two-run double of his own later in the inning to add insurance. * After falling behind 1-0 in the second, the Riders plated two tallies of their own in the bottom of the inning and another pair in the fifth to take a 4-1 lead. * Frisco's 5-1 start is tied with the 2008 and 2016 squads for the best six-game start in team history. * The Riders scored at least 10 runs in all three games against Corpus Christi, plating 33 runs in the sweep. * Alvarez has three hits each of his last two games and is currently on a five-game hitting streak.